BANGKOK, THAILAND - November 27, 2017 : Timelapse shot city downtown and express way with Baiyok Tower II at sunrise. 4k00:144K.Time lapse city landscape cityscape at Bangkok city asia Thailand. 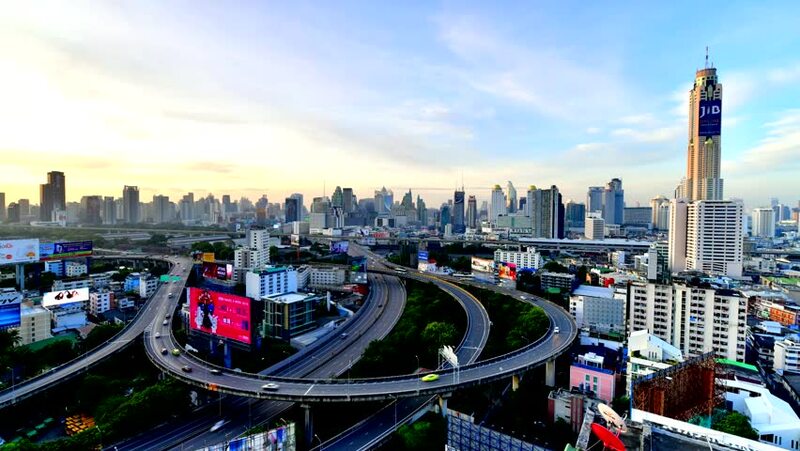 4k00:11BANGKOK, THAILAND - JANUARY 2016: sunset night traffic street road junction panorama 4k time lapse circa january 2016 bangkok, thailand. 4k00:18BANGKOK - 6 May 2018: 4K Time lapse day to night view of Bangkok Traffic. city noise. 4K Resolution. 4k00:09BANGKOK - 6 APRIL: View of the business area on 6 April 2014 in Bangkok, Thailand. Bangkok is the most populated city in Southeast Asia with one sixth of population live and visit Bangkok every day.